Home » SEO blog » SEO Basics » What is a search term? SEO basics: What is a search term? After getting her Master’s in Art & Visual Culture, Melina worked in the cultural sector, editing and writing all kinds of texts. 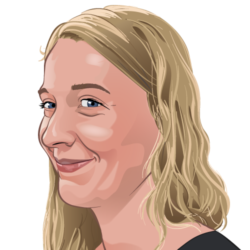 She enjoys applying her writing skills and eye for detail in the blog team at Yoast. 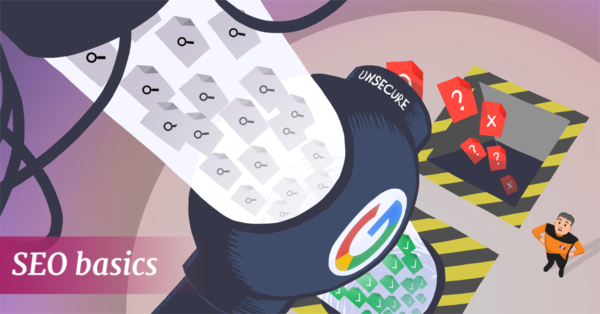 You likely type dozens of queries into your favorite search engine every day. But have you ever realized the significance of all these searches? Figuring out what people are looking for on the internet is one of the key points of SEO. So, what should you know about the starting point of each online search, the search term? Let’s begin with the very basics! A search term, or search query, is the word or phrase someone enters into a search engine to search for on the internet. These can be single words or names, like [Yoast], or a combination of words, such as [buy robot vacuum cleaner], or even complete questions, like [how do I train my puppy?]. Note that each individual could phrase his or her query uniquely, so five people looking for the exact same thing may just use five completely different search terms. Moreover, search terms can contain spelling errors, numbers substituting words, or random word order, and still take someone where they need to be. While everyone entering a search term into a search engine is trying to find something, their intent can certainly differ. It’s important to be aware of this. Someone typing [how do I train my puppy?] into Google is looking for information, whereas someone who enters [Yoast] probably wants to navigate to Yoast.com. And someone looking for [buy robot vacuum cleaner] is, evidently, looking to buy a robot vacuum sometime in the near future. If the page someone clicks on in the search results doesn’t match their intent, they’re likely to bounce back and look for another page that does align with their purpose. So, you’ll understand that it’s important, as a site owner, to make sure people end up on a page that’s consistent with their expectations and what they’re trying to achieve! Search term and focus keyphrase: what’s the difference? How should you see search terms, in relation to your focus keywords and keyphrases? Well, you’re looking at basically the same thing from a different perspective. But, one big difference: you put a lot of thought into a keyword strategy (if you do it right ;-)), whereas most people entering a search term simply type a phrase they think will take them where they need to be, largely unaware of the fierce competition going on between websites. In an ideal world, the search term entered by potential visitor would be the keyphrase you’re targeting, and your optimized page would match their search intent. But, as we already mentioned, search terms are often unique for each user, can differ in emphasis and could even contain errors. So, you should think about what your real life users are doing, and distill the ideal keyword from that. There are several ways search engines try to help their users find what they’re looking for. Firstly, there’s the autocomplete functionality: immediately when you start typing a query, suggestions for often-used search terms pop up for you to select. What’s more, if a query is very similar to another search term that’s entered much more often, search engines tend to include the results for that query as well. It’s good to be aware of this, and think about how it could affect searches relevant for your website. Search engines allow for advanced searches, which let searchers, for example, leave a blank in their search phrases, exclude words from their search results or look for results from a specific region. Only a small portion of users actually uses these advanced search features, so from an SEO perspective, it’s probably hard to take this into account. But, if nothing else, it might inspire you to become a pro search engine user to save yourself some precious time! One thing that’s also influenced by the search term, is whether or not the results page will contain ads, and how many. Advertisers can select certain ‘keywords’ to target with their advertisements. If a user enters a search term containing these, an automatized auction will take place, to see which ad or ads targeting those keywords is/are most relevant and best suited to appear on the results page. 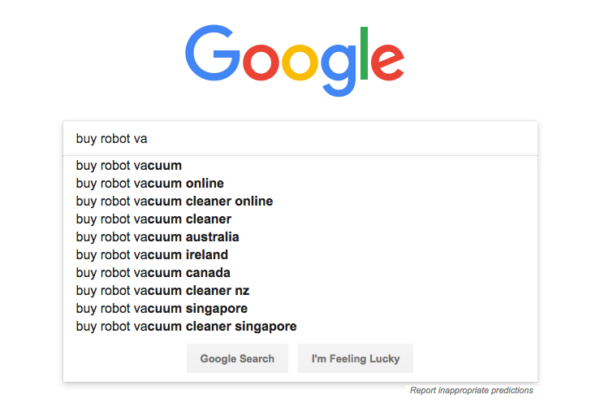 Naturally, ‘sales-oriented’ search terms, like [buy robot vacuum cleaner] are much more likely to yield one or more ads, than informational queries such as [how do I train my puppy?]. Ads’ll push down organic results, so if you’re optimizing for competitive keyphrases, this means you may have to work a little harder. It seems so straightforward, but, as we’ve seen, there’s more to the search term than you might expect. Knowing how users search and how search engines handle search terms will give you an edge when executing your keyword research, so get in your user’s heads! And think about the significance, the next time you enter your search term into Google! 2 Responses to What is a search term? You mentioned that, “search terms can contain spelling errors.” Do you ever sprinkle in spelling errors into your copy if that term gets a lot of search volume?